I grew up on science fiction. Movies, literature and comics were part of my childhood and sometimes I just stood by the window in the kitchen and watched the stars. Stars were mystical beings, they had names, genders, lovers and enemies… They were something mythological, and above all – they talked. I listened their private conversations, feeling a bit voyeuristic by breaching that thin line of confidence we so secretly established. 20 (or so) years later I saw the trailer for “Interstellar”. After disappointment called “Gravity” in the previous year I was skeptical even though Nolan is one of my favorite directors and Matthew McConaughey is one the most mentionable actors in Hollywood. My expectations were somewhere between average and very good and the movie just hit that sweet spot called – well. Good, but not great. Well, but not excellent. Hype that is surrounding “Interstellar” is understandable, but I have my reasons why I’m not as excited about it, after the theatre as I was after the trailer. When I saw the trailer I was that kid again, and I watched the stars from my house in the mountains, and the stars talked to me again. After the movie I found just bits of that excitement in the movie and few, more or less serious, shortcomings. ATTENTION: SPOILERS BELOW, DON’T READ FURTHER IF YOU STILL HAVE TO WATCH IT. First of all pros and cons of the “Interstellar”. Movie is definitely worth of your time. Nolan directed film as visual masterpiece, and the storytelling in the SF terms is compelling. The effects are wonderful, although the comparison with “2001” is a bit too much; Nolan knows his way around tension and action. As in his previous films, “Interstellar” has moments when you are completely pulled into the movie, and you just wish that feeling to last. Preferably to the end. Acting in the movie is good, but it isn’t excellent. That’s connected with few of the cons I found really annoying. Jessica Chastain and Michael Caine, both great actors, have characters which are not written well. Murphy Cooper, as we realize later in the movie, is one of the most important characters for the plot resolution and her screen time is mostly used for the scenes filled with pathos which is (in “Interstellar” sort of story) really unnecessary. Of course, some pathos is understandable (scenes with young Murphy), but in the later scenes acting potentials of Jessica Chastain and Michael Caine were almost completely unused. Such strong actors and characters written in a way as their characters were should come into conflict in some stage of story development. That conflict was building through the first half of the film and when it eventually came it was weak, on the deathbed, and I as a viewer (just as the conflict itself) was left hanging. For Murphy’s character’s sake it’s a pity that conflict wasn’t written better. Furthermore, Ann Hathaway as Brand is totally unconvincing when her motivations come to scrutiny. Her reaction for not going to the planet where she wants to go was deeper and much more emotional than the reaction to the fraud committed by her own father. Something for a viewer to think about. Characterizations in general are poorly written. Even Cooper, as the main character, could use some deepening. Pity. As direction and cinematography are wonderful, elements of characterization are lacking in details. All that aside, film deserves high grades until the last 15 minutes of the film. When the main plot is resolved (relativity and the child’s room in all timelines was stroke of genius) and Cooper is found, story loses coherence and becomes filled with unnecessary pathos once again. Sometimes, Hollywood should just let the film end when it should. Movies aren’t chewing-gums for God sake. Final scene of Murphy’s reunion with her father is completely idiotic (reunion was achieved when Murphy found the watch and then said to Tom that father saved them all). That scene was sole reason why I gave the movie 7/10, instead of 8. Awful. However, “Interstellar” is still one of the best SF movies out there. It’s a real cinematic experience, but currently it’s a bit overrated. Story of “Interstellar” has its flaws, and some actors and their characters aren’t used to their full potential. Action and relativity elements of the story are great, as are the special effects. From all the reactions I’ve read about the movie these days, some didn’t make sense to me. From movies in this genre you can’t expect 100% scientific precision. Even the documentaries with the subject of relativity are all (guess what) relative. Even the documentaries aren’t completely sure what they are talking about. Some criticism of “Interstellar” in that regard is unwarranted. Also, movie of this sort can’t be compared to “Star Wars” or “Guardians of the Galaxy”. Space-opera and Science-Fiction are two different genres in my book. Space-opera mixes elements of fantasy into Space, and SF mixes element of science into fiction. Science fiction don’t need to have space elements, movies that are in their nature space-opera (Star Wars, Guardians…) are, on the other hand, unthinkable without the stars. 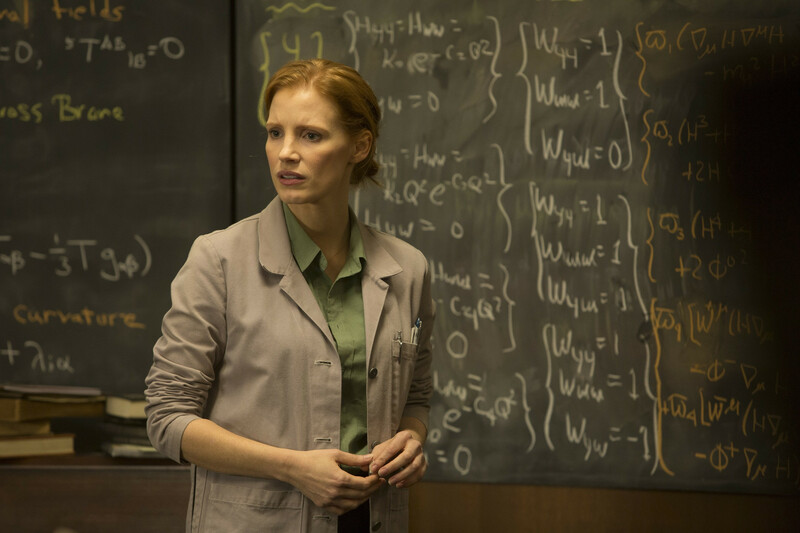 “Interstellar” is science-fiction. And very good SF at that. On Asimov’s trail. With more attention to the characters and their development (if same attentions were dedicated to the characters as it were to direction and effects) “Interstellar” would truly be the masterpiece which people are describing these days. Unfortunately, that’s not the case but “Interstellar” is still worth the price of the ticket. Previous Post Few thoughts about “Emmy” awards. It hardly ever lost my interest, but it did disappoint me on more than a couple occasions. Good review.